Deal Categories: Fat Burners and Energy.Stores: Amazon. Amazon Prime drop the price on the ProSupps L-Carnitine 1500 Liquid Fat Burner, to $11.39 shipped. Over 300 customers rated it 4/5 star. Use coupon EASTER10 during checkout. Buy one Sparta Nutrition Hydra Shred Powder (60 servings) & get one free for $45 after coupon. during checkout and bring it to $25.99. 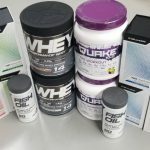 Plus get a free shaker. This is the best total price we could find by at least $45. 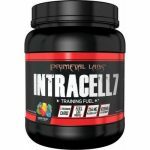 Buy 1 Primeval Labs Intracell 7 Black (40 serv) & Get 1 FREE for $49.99 at A1Supplements. Even with $5.95 shipping this is the best price we saw by $26.